Youth health workers and clients celebrated International Women’s Day with a free lunch last month. 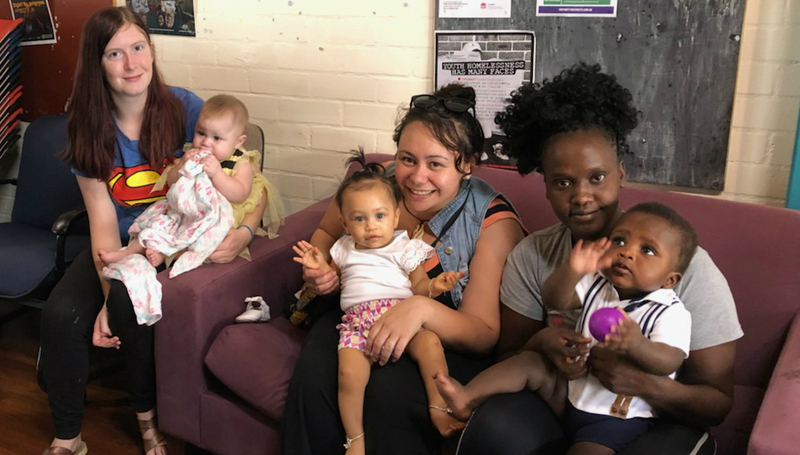 Each day they provide support and guidance to young people aged 12-24 who are marginalised, disadvantaged and at risk, and grappling with issues including access to accommodation, education, employment and counselling. For many young people these issues can lead to problems with self esteem and relationships, explains youth health counsellor Cassandra Scott. “We’re in a serious position of being role models for healthy relationships and how you deserve to be treated,” Cassandra said. Celebrations for International Women’s Day last month were a prime example of how the Youth Health Services team goes out of its way to recognise and meet this responsibility. Workers of all backgrounds and genders came together to celebrate the innate worth of their female clients and colleagues, with a free lunch provided by Outback Steakhouse. “It was about saying we value you and your gifts, talents and abilities,” Cassandra said. The celebration brought together staff from WSLHD services including Integrated Violence Prevention and Response Services, Multicultural Health, Prevention Early Intervention & Recovery Service, and Priority Populations, as well as several non-government organisations. Cassandra said recognising International Women’s Day was an idea actually driven by her male colleague, youth health worker Christian San Juan, and that it was important for women to see there are men who respect and value women. “On a personal level, I believe we’re all created equal and it’s important for men to show their support for that idea,” Christian said.